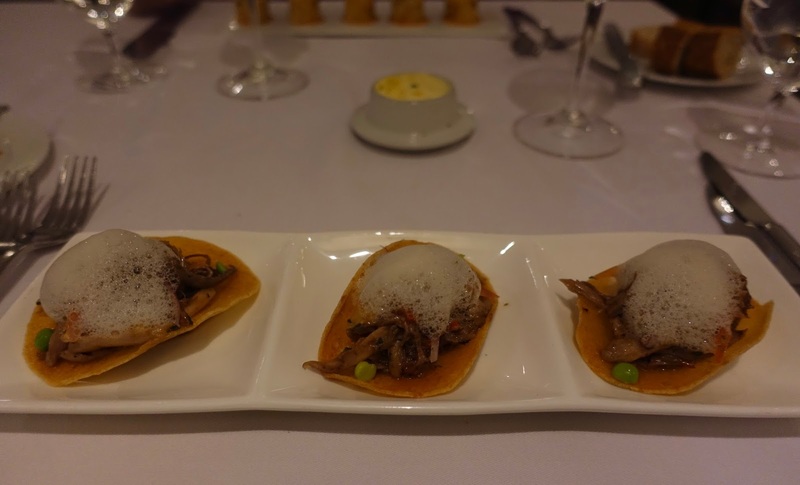 After having outlined what to see and where to stay on a luxury trip in Ecuador’s highlands in my last posts, I now want to go into where to eat when traveling the area as a gourmet. The highlands have a lot to offer as to natural and cultural sights as well as quality lodging, but there are also good opportunities for dining, also for guests longing for culinary highlights. 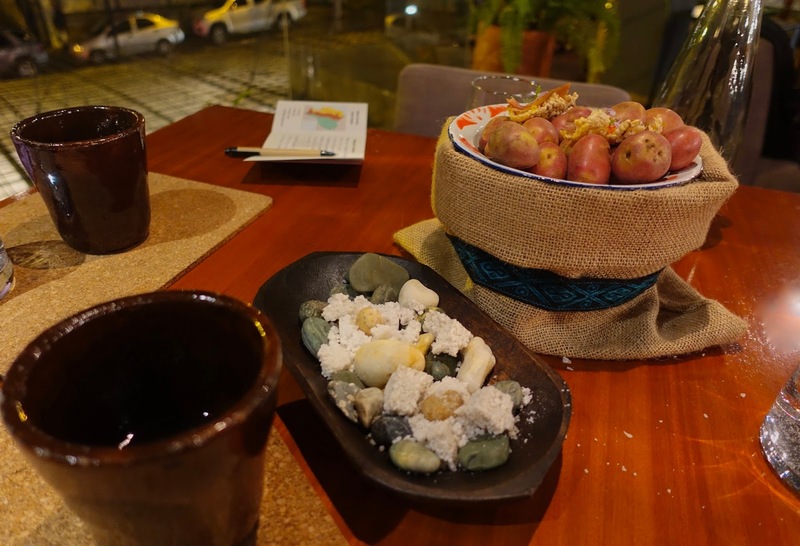 When I came to Ecuador, I did not expect to meet a foodies’ heaven because I had read that the Ecuadorean cuisine is rather basic, still mostly anchored in its peasant roots. While we sometimes had simple meals, we always enjoyed them. And imagine we even had here one of the better dining experiences in the recent past! In the countryside, we mainly stayed at haciendas where all the meals were included in the rate (see my last post). Because of this, there was no need to look for restaurants in the rural area. I also have my doubts whether the search for places adequate for lovers of fine food would have been successful outside the main cities. 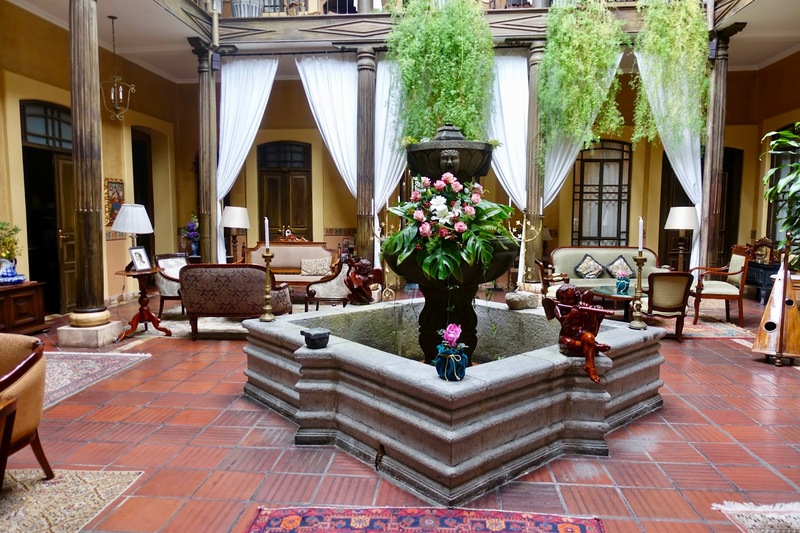 In either way, Quito, Cuenca and Guayaquil have something to offer also for foodies. Here is my list of recommended restaurants in these urban areas. I have to say at the outset that this was the absolute highlight of our culinary experiences during our stay in Ecuador but also one of the better ones we have had recently! Urko is in the new town about ten minutes by car from our hotel (J.W. Marriot) and is specialized in preparing Ecuadorian food using typical recipes but transforming them into modern times. On the ground floor, there is a casual eatery, upstairs a ten-course tasting menu is served for dinner only. My husband and I opted – of course – for the latter (Rutas – A trip around Ecuador) and ordered also the pairing drinks. The restaurant’s interior is sleek and modernist. 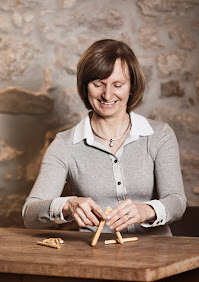 The staff are young, enthusiastic about their country and its food, knowledgeable and attentive. 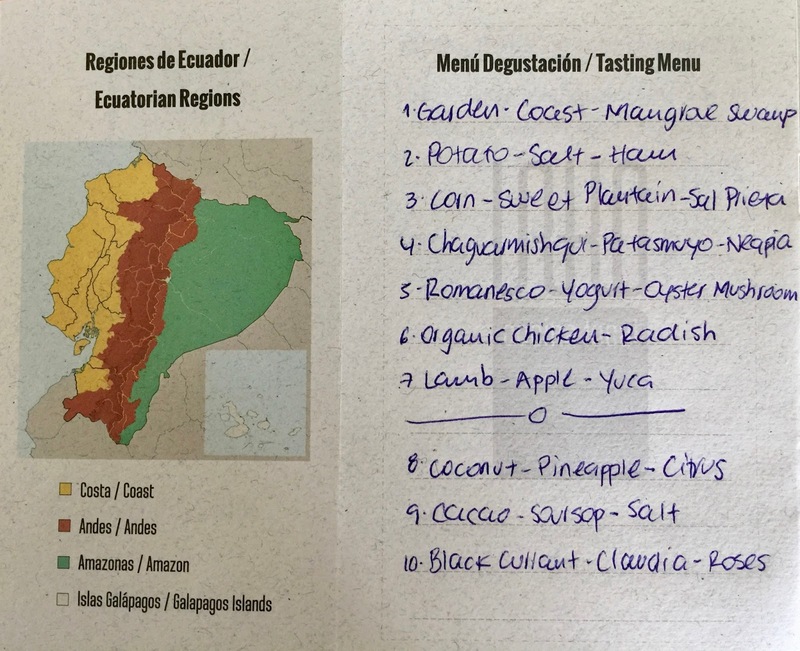 We were catapulted to a veritable culinary journey through Ecuador’s regions, from the coast to the Andes, the Amazon and the Galapagos Islands. It truly was a memorable experience! All the courses were imaginative, immaculately prepared with attention to detail and full of taste. And imagine, the paired drinks were just as inventive. Of course, you got wine but also mint and sugar cane liquor (first course), fermented corn (second course) or chamomile gin tonic (ninth course). Out of the ten courses, here are three highlights. As first course, a combination of salad, shrimps and mussels was served together with a mint and sugar cane liquor. An astounding but harmonious get together! 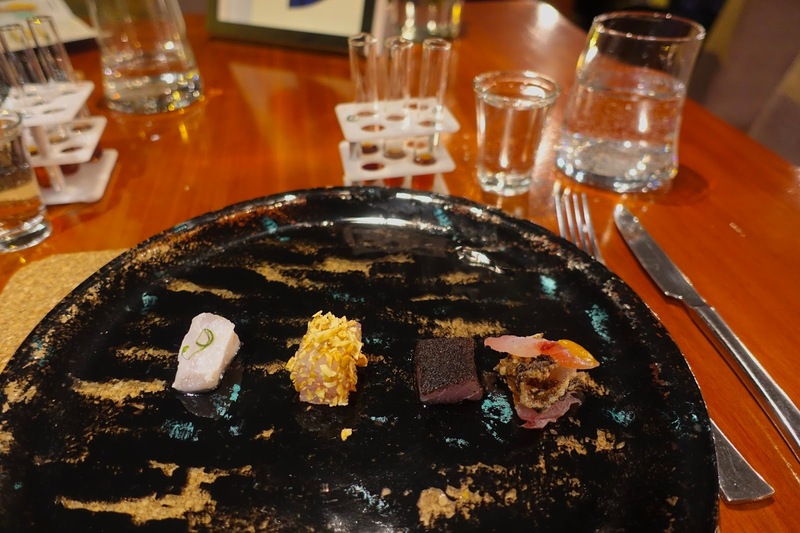 The fourth course was snapper prepared in four different ways served with test tubes containing four different cold coffees. The idea was to take a mouthful of snapper and then sample how the coffee tasted along with the fish. The result was that the coffee tasted quite different depending on how the snapper was prepared. 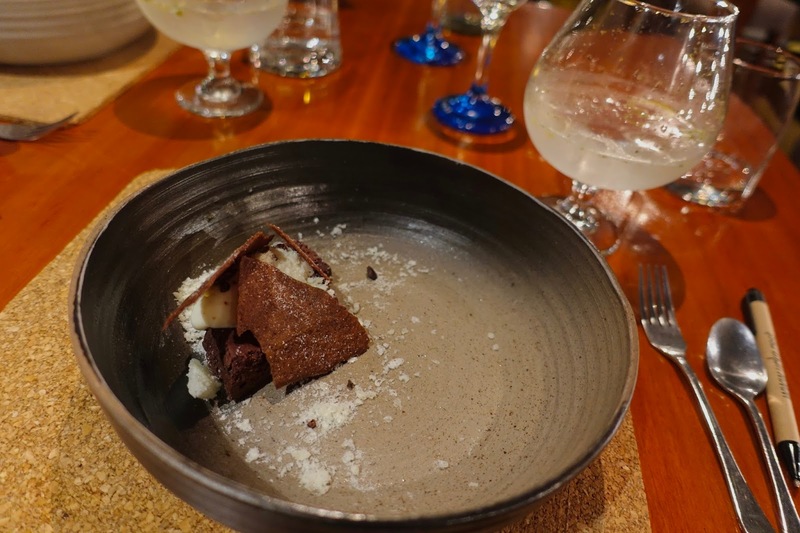 The ninth course was a perfect blend of cacao 90%, soursop (fruit) and salt, served with a chamomile gin tonic. It was an unbelievably tasty creation! 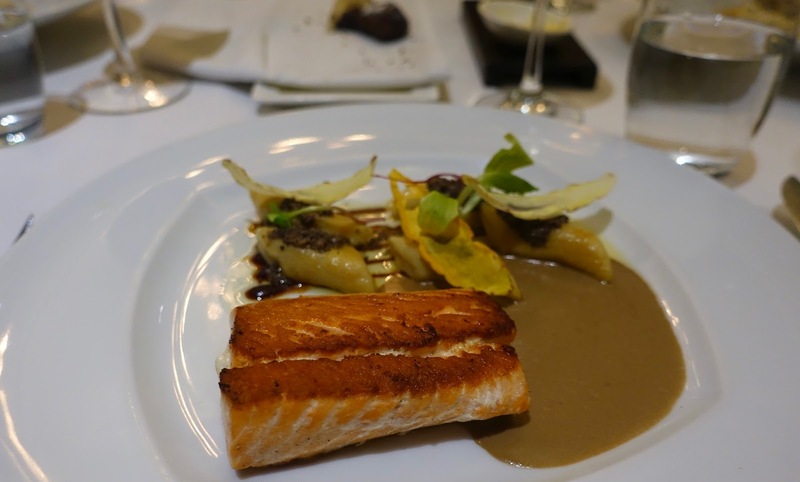 On balance, it was an unparalleled culinary experience and I loved every minute of it. 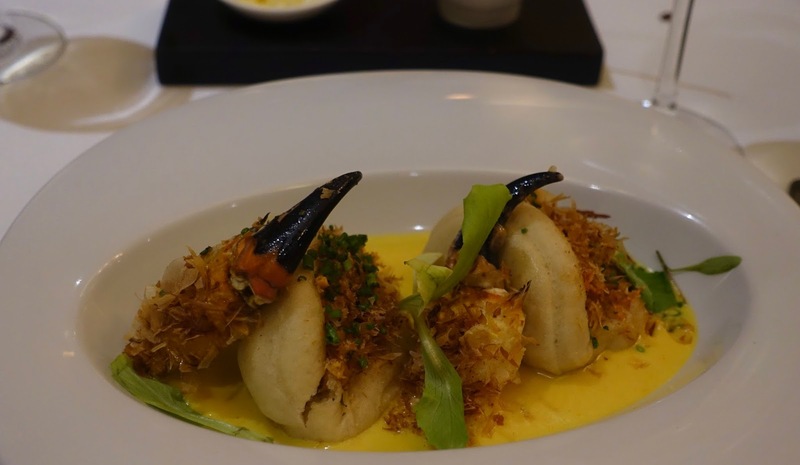 If you are into modern cuisine, go there in any case, you will not be disappointed. This trendy restaurant, located in Quito’s new town, about five minutes by car from our hotel (J.W. Marriot), is supposed to be one of the best restaurants in the city. It is mainly visited by westerners – at least when we were there. What is not that astonishing considering the quite high prices they ask for. Service was friendly enough although in my view a bit unorganized. I loved the interior with its modern style. Here contemporary cuisine with South American influences is served. Out of the relatively wide range of options my husband and I went for local specialties, newly interpreted by the chef. A good starter was suckling pig taquitos. The tortillas filled with pork confit, guacamole, gruyere and chipotle aioli were carefully prepared and tasty. I chose cazuela, a typical South American dish, as main course. Shrimps and bananas in quite a rich stock were served in a cooking pot. While I was impressed by the quality of the seafood, I found the rest not that exciting. We shared the desert because the preceding courses were quite big. It was again a local dish, helado de paila, ice cream prepared tableside in a traditional brass pan. It was fun observing how it is done. Served with hazelnut crumble and merengue it made a good combination. All in all, it was a nice experience dining in this stylish restaurant offering well-made western South American fusion food, although I cannot say that it was memorable. 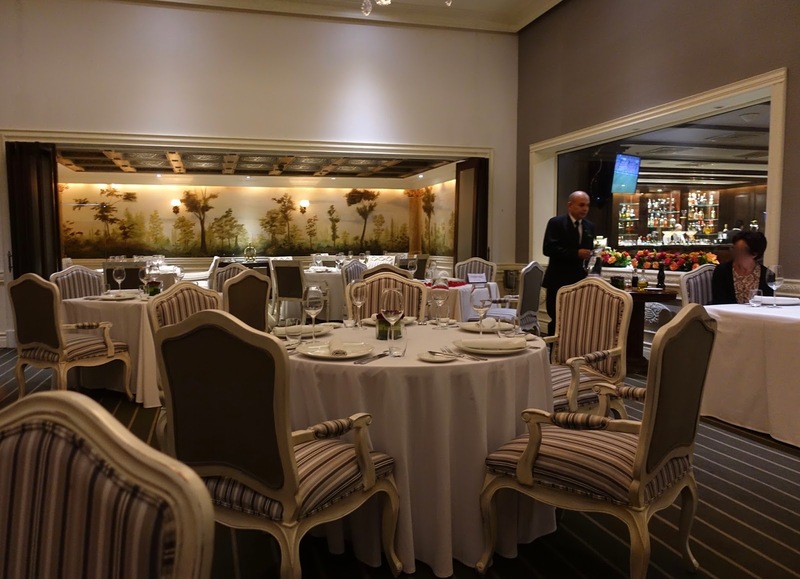 As we spent two nights at the affiliated hotel in a beautiful colonial mansion (see my last post for hotel review) my husband and I decided to dine both times at the restaurant on site. 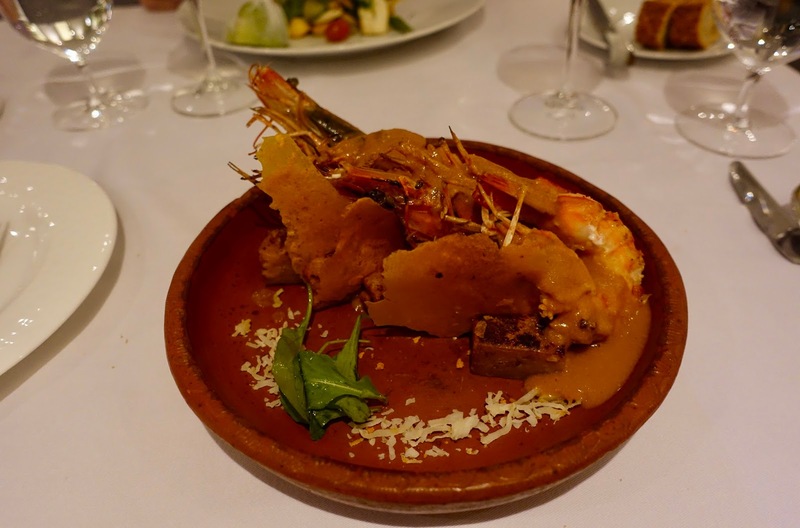 We considered other eateries in Cuenca too, but did not found alternatives that suited us. The setting of Casa Alonso is wonderful. After passing the superb lobby you step into an elegantly styled dining room. Adjacent to the restaurant there is a lovely glass-walled gazebo, surrounded by lush plants and with view of the beautiful garden. The cuisine is upscale western, South American influenced. There is quite a choice, from all sorts of meat, fish, seafood to pasta. Prices are reasonable at least for dishes with local ingredients. Service is polite but discrete. 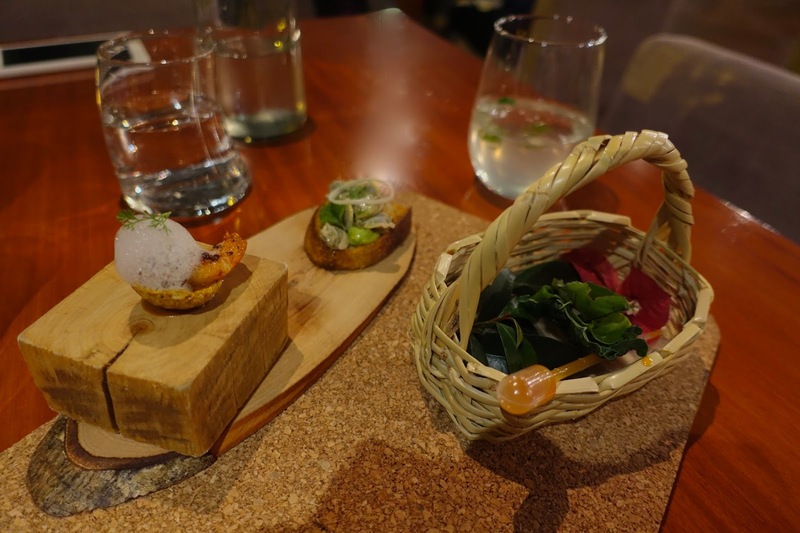 Apart from the dishes ordered, we were also served an amuse bouche, a sorbet before the main course and friandises after dinner. Everything had been thought of to make the experience special. Here are three highlights out of the dishes sampled, which were all well prepared, nicely presented and tasty. 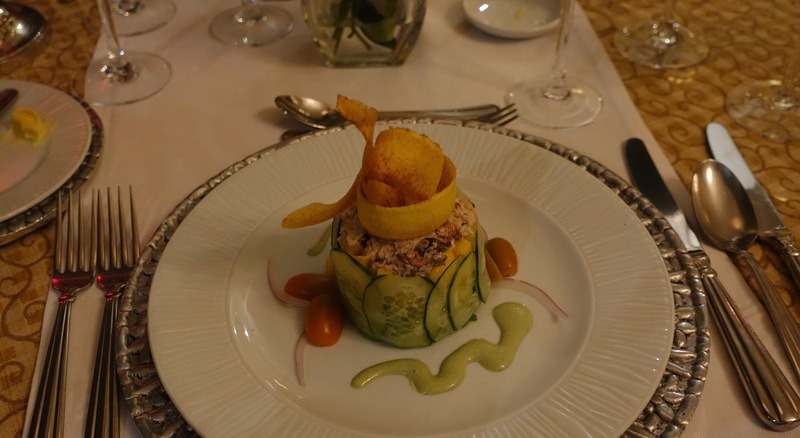 A delicate starter was the quinoa and crab timbale, a great combination, enriched with tomato, cucumber and avocado, accompanied by a passion fruit vinaigrette. 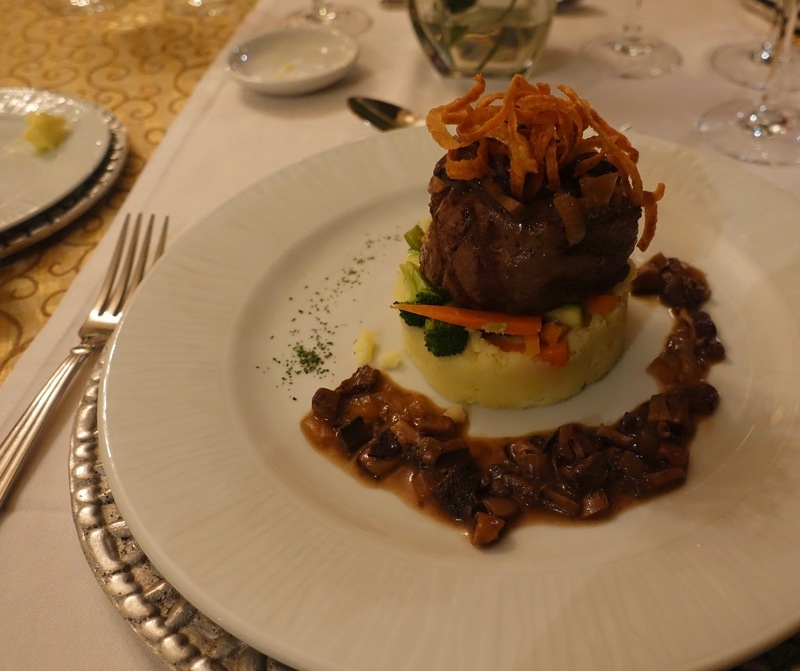 Another great dish was the steak Mansion Alcazar, a beef tenderloin in a mushroom sauce with mashed potatoes and vegetables. 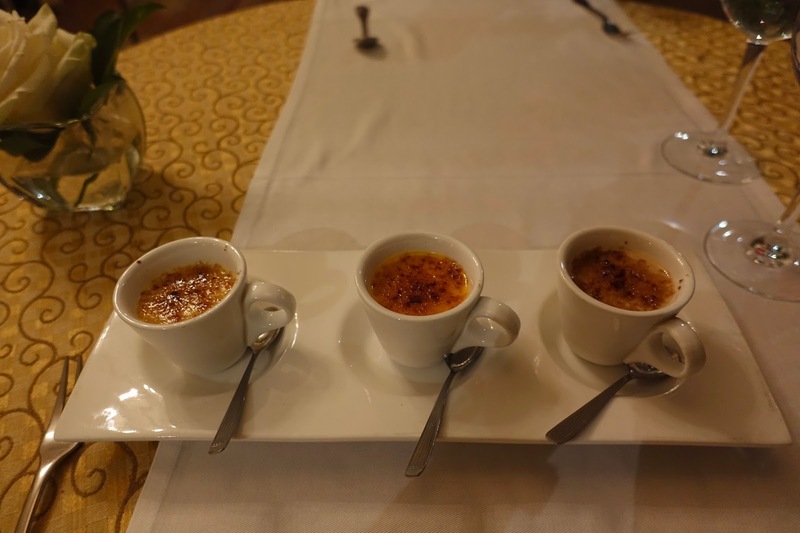 Finally, my husband and I shared an excellent creme brulee trio consisting of following flavors: vanilla, passion fruit and guava. And imagine, we had this dessert on both evenings because it was so good! Initially, we had not planned to dine twice in the same restaurant in Cuenca. But we changed plans after our first dinner which we enjoyed very much. And we would do it the same way again without hesitation! 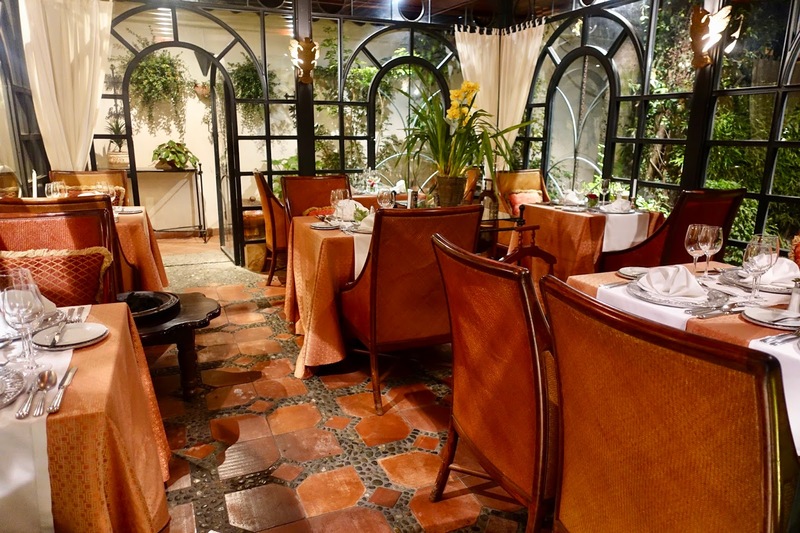 The fine dining scene in Guayaquil is of a manageable size and Le Gourmet has certainly a leading position in it. This restaurant is one of several ones at Hotel Oro Verde where we stayed for one night (hotel review can be found in my last post). As the name suggests, it is a French restaurant, and it shows. There is an opulent dining room with chandeliers, large murals and a grand fire place. Also the service is typical French, formal, polite and with a certain reservedness. Having said this, the atmosphere is pleasant, without the stiffness inherent at similar places. French cuisine, inspired by South America, is served here. The menu is extensive and varied, local ingredients are combined with classical cuisine techniques. The place is a foodie’s heaven. Everything we had was perfectly prepared, elaborately arranged and blended magnificently. Above all, the food is good value, at least when prepared with local ingredients (imported ones are much more expensive). Out of the dishes we had you find three examples. First, an inventive starter, stone crab steam bun with saffron emulsion and Katsuobushi (dried, fermented and smoked tuna). 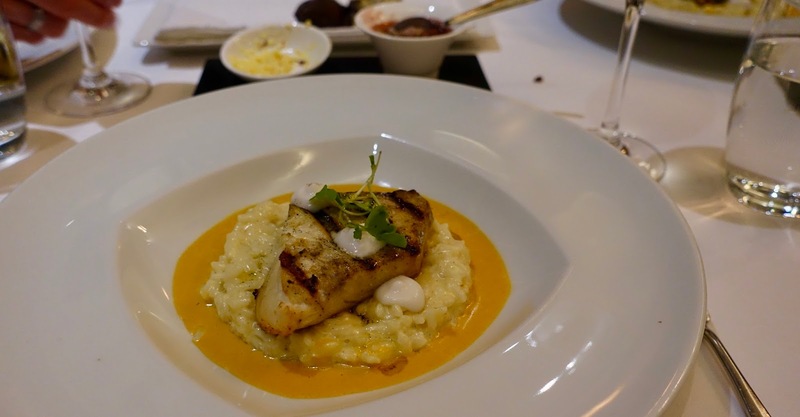 Second, a main course is pictured, a superb grilled Barramundi fish fillet with vanilla infused butter risotto, coconut and smoked pimento sauce. 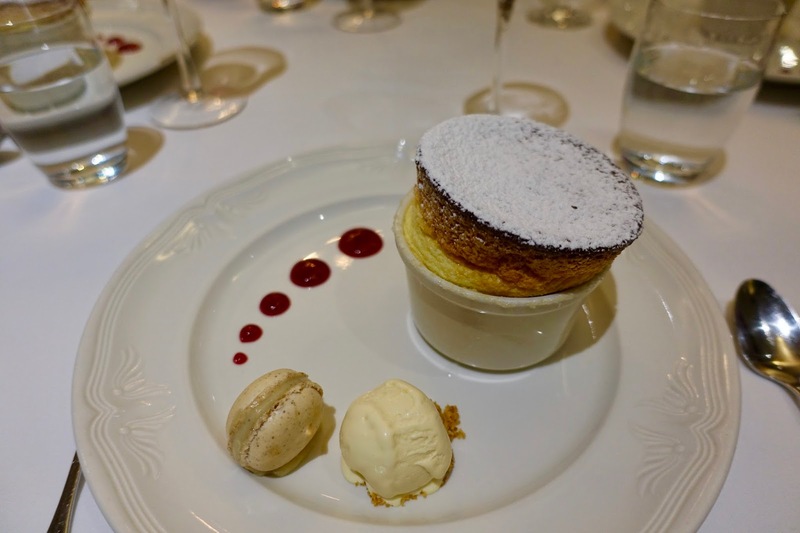 To end the fulminant meal, all of us (we dined with friends) had preordered a soufflé. These are available in following flavors: Grand Marnier, vanilla, cream cheese and chocolate and are served with lemon vanilla ice cream. I opted for cream cheese and was delighted by the palatable dessert. Le Gourmet is indeed a place for fine food lovers. An exquisite classical cuisine with a regional soul is featured here, and this in refined surroundings. You are not at a loss as a fine food lover in Ecuador's highlands. When having a look at my selection of recommended places for foodies, it can be noticed that two out of four can be found in luxury hotels. Not that I had not tried to find eateries offering gourmet food elsewhere but I was not successful at doing this. Our trip to Ecuador included also a trip to the Galapagos Islands, and this on board of the Silver Galapagos. Come back and check out my posts about this exciting adventure! What about you? 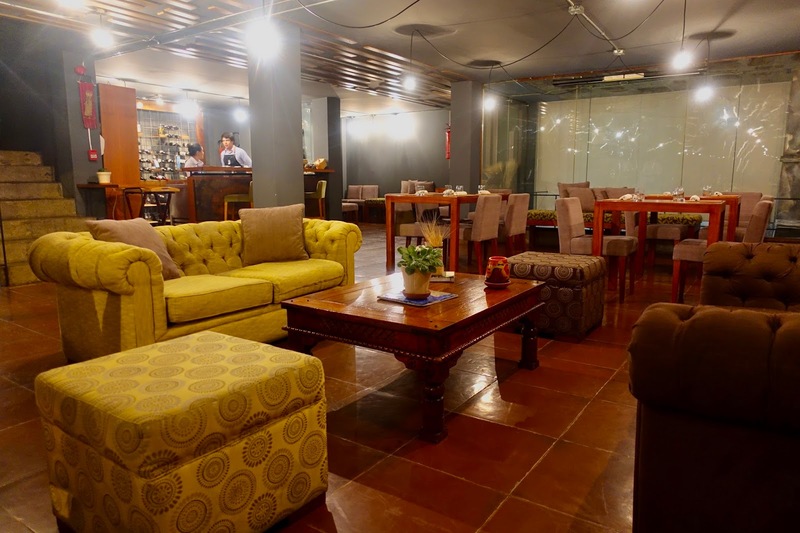 Do you know a place in Quito, Cuenca and Guayaquil where fine food is served in a pleasant atmosphere?